The Ghostly Haunts of Williamsburg, Virginia ~ The History Girl! 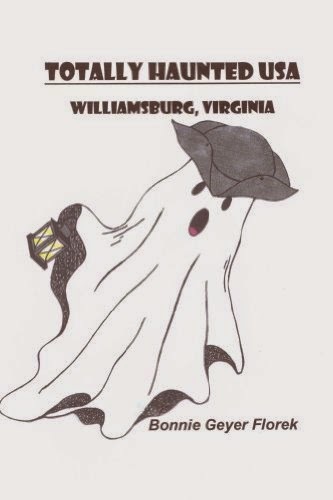 Williamsburg, Virginia is believed to be one of the most haunted towns in America. Some people believe in ghosts, some do not. There have been many skeptics who have become believers after attending a Spooks and Legends Haunted Tour, however. The George Wythe House, Williamsburg, Virginia. Ghosts have been seen and heard by guests and the presence of spirits have often been felt. Just one visit to the Peyton Randolph House has made believers of previous skeptics. A determined knocking is often heard coming from the inside of the front door. The doorknob rattles loudly and persistently as guests stand listening to true stories originating from within those very walls. And what about the side door slamming shut so hard that it makes you jump back a few steps? These are just some of the goings on in town…sights that can be seen and sounds that resonate within your mind, long after you have returned home. The George Wythe House is no exception where haunts are concerned. Just stare at those windows and see the inside shutters open and close before your very eyes, though no one is inside the house. No living soul, that is. These are only a few of the many ghostly experiences encountered in the town of Williamsburg. To hear of more excitement, read on, and then come and visit us for a one of a kind, ghostly tour. You will never forget nor will you want your ghost-loving friends to miss this. Enjoy! Williamsburg was Virginia’s capital from 1699-1780. Starting as a small settlement, it grew to be the size of a small city. By the mid-1700s, the population of the town was close to two-thousand, of which half were slaves. The beginning of America’s democracy and liberty started here in the 1700s. The Colonists began questioning British rule. Taxation was opposed by Patrick Henry, wanting representation in the House of Burgesses. In 1774, the First Continental Congress was presided over by Peyton Randolph. George Mason wrote the Declaration of Rights which later became the first ten amendments to the Constitution. Housed in Williamsburg were thousands of Continental Army soldiers. By 1780, Thomas Jefferson thought Richmond better suited as Virginia’s capital city. Williamsburg was then no longer a town of social, political, and economic standings. Though it remained the county seat, it was mainly a town for area farmers to market their goods. The Public Hospital and the College of William and Mary were all that remained of importance in town. The wealthy no longer resided in Williamsburg, which contributed to the deterioration of the homes and buildings. Some even burned, though fortunately most homes and buildings continued to be used. Had wealth remained in town, original 18th century structures would have been removed or altered beyond restoration, to accommodate the growth of the capital city. In 1923, W.A.R. Goodwin, the rector of the Bruton Parish Church, had a vision to restore the town to its 18th century appearance. He lacked funds for all but the restoration of the church. After meeting John D. Rockefeller, Jr. in 1926, Goodwin invited him to visit Williamsburg at which time he shared his vision with Mr. Rockefeller. He agreed to anonymously fund the restoration, first purchasing the Ludwell Paradise House for just $8,000. In order to remain anonymous, Mr. Rockefeller signed all documents as ‘David’s Father.’ When townspeople became concerned about the anonymity of the purchaser, the plan to restore the town was finally revealed. As restoration began to take place, townspeople who had initially opposed it realized the economic benefits. Most residents were allowed to remain in their homes through Tenancy Agreements until death. At first, Mr. Rockefeller had little intention of funding the entire restoration, though his enthusiasm grew as research unfolded. Drawings, maps, and records were found in American and European libraries as many historic details emerged. Much attention was paid to architectural detail as teams worked to reconstruct and authentically restore original 18th century sites. The modern buildings were removed or razed whenever possible. Today, the town looks very much as it did in the 18th century. It is said there would be little noticeable difference to Patrick Henry or Thomas Jefferson if they walked the streets today. Roughly one million guests visit the town each year. This historic living history museum houses hundreds of restored public buildings, residences, outbuildings, shops, and hotels, plus acres of formal and informal gardens, pastures, and walks. I must admit that I was more than skeptical for quite a while, even after experiencing things that were happening to me, personally. After I first moved to Williamsburg in 2002, I went alone one evening to the historic area. I began taking photos as I had been told spirits would come alive late at night. I knew nothing about where specific sightings or sounds had been seen or heard so I just randomly started taking photos. I had a film camera at the time, though many have since taken shots using a digital camera. It doesn't seem to matter which type of camera is used - the outcome is the same. First I went to the Wythe House and took several photos of the upper right two windows. I kept clicking away not knowing of any logical reason to do such a thing. When I had the photos developed I noticed that each one showed the inside window shutters to be open to different widths between shots. I was so amazed! I could not stop thinking about it. I happened to mention my findings to a town tour guide who assured me that my photos were not lying and that it was not my imagination. She said that those shutters always open and close. I was told to go back in the night time to see that the shutters would open and close before my eyes. Sure enough, she was correct. On my very next visit to the house, I was able to stand and stare and see those shutters opening and shutting right there in front of me. Can you believe I still continued to be skeptical? Not long after that time I was working for Colonial Williamsburg, walking guests to a few different locations to hear old legends. One of the stops was the Geddy House. My job was to take guests into the parlor and wait until they had heard a legend being told by a story teller. I knew that we would be there for at least 15 minutes so I thought I would go upstairs, where I knew I could find a restroom. I left the parlor and spoke with Will, standing in the center hall. He and I had worked together before so we knew each other well enough to share experiences. I told him I was going to go upstairs to the restroom and that I would be right down. I had only been upstairs in that house one other time in the daylight, so I was hoping I remembered where the bathroom was located. Though I had a good idea of where I was heading, I had no idea where any of the light switches were and never did find any. Fortunately however, the shadows from the candlelight downstairs were just bright enough to find my way. The McKenzie Apothecary, Williamsburg, Virginia. Since it was very dark, I was not unhappy to be heading back down the hall to the stairway, minutes later. I must admit that I was a bit uncomfortable in the dark, in that old creaky house. I started back down the stairs when I noticed Will staring up at me, leaning on the banister and watching for my return. The look on his face only solidified my own fears. I asked what was wrong, sensing something in his expression. He said he had been listening for me while waiting for my return. He did not wish to alarm me before I went upstairs by telling me of his earlier experiences. He had heard heavy footsteps walking the floor above, just minutes before I headed to the upper floor. Somehow I was not surprised, though I did not want to believe it. I had heard from others that the sound of heavy boots was not a rare occurrence in that house. As if that were not enough, Will had more to tell me. He had experienced a frightening occurrence earlier that night. He arrived alone to set things up for the evening. Walking toward the front of the house, he happened to look to his left into the shop area. There, standing in plain sight was a black woman in 18th century clothing staring at him. The house had been closed up since 5:00 pm and he arrived to set up around 7:00 pm. He smiled and said, "Hello" to the woman, though she did not look familiar to him. She did not respond. As a matter of fact, there was no emotion on her face at all. Will went no closer to the shop area, but kept his eye on the shop doorway, afraid to move. The woman just stared back at him, as she appeared to be straightening up the shop area in complete silence. Suddenly, he could no longer see her. He got his nerve up and walked into the shop area. To his surprise the woman was gone, despite not having heard the door open or close or any other sounds. Consequently, he vowed never to work there again. There are other things that employees and I have experienced which are included in my book, Totally Haunted USA: Williamsburg, Virginia. Bonnie Florek, author of Totally Haunted USA Williamsburg and Totally Haunted UK Cornwall, has been a business owner for many years. As a dressmaker and graduate of MaisonSapho School of Dressmaking in New York City, she was the owner of a home-based business while raising her children. Bonnie has also earned a degree in social work. Raised a United Methodist minister’s daughter, Bonnie is often called a ‘PK,’ short for ‘Preacher’s Kid.’ A church organist in the past, she also directed adult and children’s choirs, brass ensembles, and hand bell choirs. She is an extensively trained soprano and has performed a solo concert at the Crystal Cathedral in California, home church of the Rev. Robert Schuller. In addition, Bonnie is a Christian recording artist, an accomplished cellist and flutist, and has taught many children to play the piano. For several years Bonnie has written for many publications, most recently the Examiner. As a certified Reiki Master she also maintains a professional practice in town, Reiki Health and Healing. 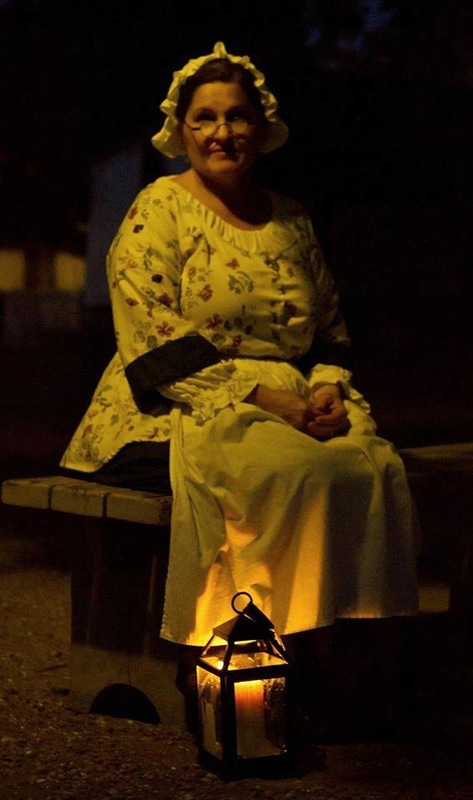 In addition, Bonnie is the owner and creator of the most haunted tour in Williamsburg, Virginia, USA. Having personally experienced many ghosts, she has created a one-of-a-kind tour based on fully researched ghost stories. She also performs monologues for various groups in the area. Bonnie resides in Williamsburg, Virginia with her husband Tom, daughter Julie Eynard, son Eric Redmond II, and grandchildren Jaycee Redmond and Eric Redmond III. From start to finish, a Spooks and Legends Haunted Tour is engaging, fun for all ages and most importantly, based on fully researched ghost stories and reported sightings. Being so unique, it has become the number one tour choice in Williamsburg in just a few short years. Williamsburg is a very haunted town yet most tours do not fully embrace that truth. Spooks and Legends tours are led by an 18th century costumed ‘ghost guide’ who becomes the character of a real person who lived in town during the Revolution. As guests become engaged, they forget that the guide is a real living person. It is a very realistic tour with other town characters often meeting the tour group along the way, as they walk the eerie streets of the old haunted town. Guests have attended from all over the world including the Netherlands, England, India, Canada, France, Russia, and Germany. Spooks and Legends’ excellent Trip Advisor reviews say it all. New to our tours this year are child characters ‘Elizabeth and James Geddy,’ played by Jaycee Redmond and Eric Redmond, III. This is especially exciting for our younger guests. These 18th century children give the tour a personal touch for all ages. For information or to attend an ever-popular Spooks and Legends Tour, please visit www.spooksandlegends.com or contact Bonnie by e-mail spooksandlegends@aol.com or call 757-784-6213. Bonnie is also available for monologue performances.